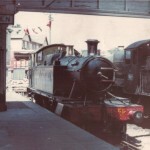 4555 sits in the head shunt at Ashburton in 1968. Let’s bring her back there! The Friends of Ashburton Station are keeping up their relentless campaign to not only save the Brunel era terminus but to bring trains back to it. 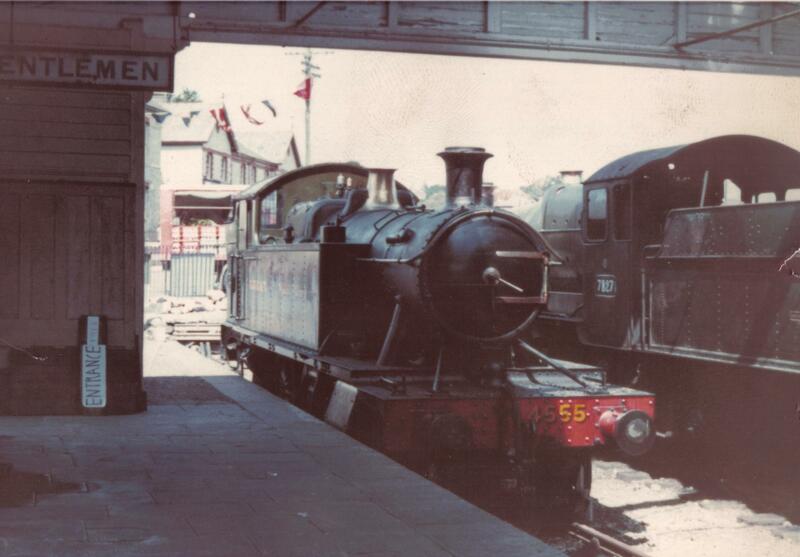 The latest genius move has been to get agreement in principle with the South Devon Railway to bring an engine and carriage back to the station once again. It is a great idea and one we must all help to bring about. It will keep the dream alive and I am always in favour of making a statement of this kind so that people have something to focus their attention on and, hopefully bring the reality of trains to Ashburton one tiny step closer. So far, the campaign has been magnificent and I hope Everything GWR supporters have made a small contribution to getting the word out there about this precious and unique survivor of GWR branch line Britain. But we also know that there is a very, very long way to go and that we will all have to maintain our efforts to successfully see off the present planning application, persuade the Dartmoor Planning Authority that trains are now what Ashburton wants and then start to help the SDR to raise the rather large sums of money needed to burrow under the A38 and then find its way back to the station. It is a hell of a project and it is easy to understand how the SDR has thought that for years it has been beyond them. But now? Personally, I am sure we can do it and what’s more, I believe that we can bring the whole preservation movement to carry this tidal wave of support for Ashburton along until it becomes an unstoppable preservation tsunami! So I am committing Everything GWR to doing whatever it can to make sure that we do everything humanly possible to support Ashburton Station in 2015. I hope you will join me in keeping up the pressure through the year ahead. Given that very large sums have been raised for substantial projects on other preserved railways and for construction of new locomotives via share issues, covenanting and other methods, doing something similar for Ashburton should be practicable. As a Chartered Civil Engineer with experience of railways and tunnelling, I think a top priority should be to work out a fully costed design and method of construction for the crossing of the A38. This will give everyone a financial target to aim at. Thank you for your comment, Tony. I was a young ‘Deviationist’ on the FR in the 1970s so it brings back great memories!